Digital marketing can be a fun and rewarding career, but also one that is full of challenges. Those challenges can change every day in what is a very fast paced field of work. Some days you will be faced by frustrated clients; some days you will just come up against technology issues. The reality is, it isn’t for everyone. That’s why it is important that you understand the qualities that are needed to succeed in this role. Here’s what we deem to be great qualities for succeeding in a digital marketing career. Without creativity, you really will struggle in any marketing role, never mind digital marketing. Creativity is about thinking outside of the box and trying to find a way to get your message across in an original manner. In digital marketing, you have to be ahead of the game and think how to do things differently from your rivals. After all, how else will you be able to stand out against the competition? 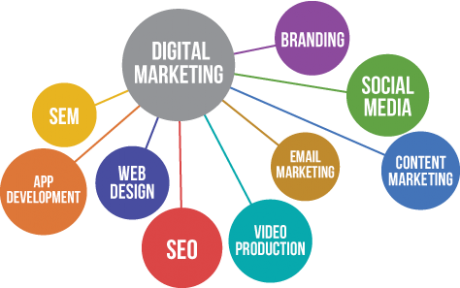 Digital marketing is as much about being creative as analytical, and at times, self-critical. You need to look at what you have done in the past and measure that against your current performance. Your website and social media channels rely on you to improve on your performance by putting user data to best practice. Marketing is a fast-paced and competitive industry, where ideas change quickly and new concepts are constantly put to the test. You have to be able to keep up with the trends and you have to be able to adapt at the last minute. You also have to hit deadlines and high standards. Clients are never easy and working in digital marketing means you will be frequently faced with chances to impress them. You may be confronted with their frustrations on a daily basis and they may not always appreciate your hard work. Reckon you have all these qualities? Excellent, we’re confident that you do too. Discover more about our digital marketing courses and what they can offer your future. You won’t be disappointed. 1 responses on "A Career in Digital Marketing"